Prior to World War II, women in Canada were looked down upon in the work force. They were expected to be homemakers with their number one priority being to take care of the household. When the war broke out however in both factory and field women were desperately needed as hundreds of thousand of men went to war. Women in the workforce started out with just factory jobs, but they developed into so much more. Women were offered jobs that were much more complicated than their house-wife roles. Instead of cooking, cleaning and raising children, they were offered factory jobs which were usually only for men. Here they would help build planes, pack parachutes and become secretaries. Women also worked in skilled jobs such as mechanics, engineers, carpenters, code-breakers, farmers and pilots. Women than became more confident and independent, and showed this through their new found skills. 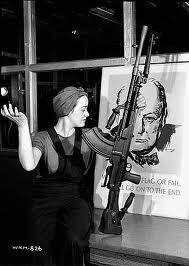 Many women were paid 5 times more per week than they were before the war, although they were still paid less than men. The jobs they took on while the men were away however, made women the equal of men. Women assumed higher ranking positions. Women were trained in many roles and were put in charge of running offices, designed planes and managed logistics. 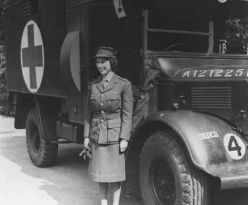 Women were also trained to be pilots and to drive ambulances. Women proved themselves and showed they could learn new skills. They could work safely and quickly around a factory or shipyard. Women in Toronto, Ontario, for example, drove buses and streetcars. At the end of the war, women were expected to go back to their traditional roles. Their role hugely changed as the soldiers returned. In large numbers women returned to the household. The women for the first time had had a taste of paid work and they knew it was better than just staying home and scrubbing, cleaning, looking after kids and preparing meals. They fought back, and some did get jobs. This was only the beginning for women’s rights when it came to the workforce. After the World War Two, women increasingly decided to stand up for themselves. They knew they were capable of doing anything a man could do and their evidence was the work they accomplished during the war. With every generation, women are proving they are quite capable of doing many jobs and holding high positions in business and the public sector. This all started with the independent women who proved themselves to be amazing workers when people doubted them. Women today are scientists, doctors, lawyers, etc. which they should have been all along!